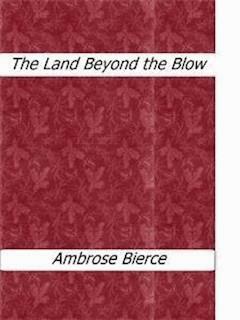 Ambrose Gwinnett Bierce ( 1842 – 1914) was an American Civil War soldier, wit, and writer. Bierce's book The Devil's Dictionary was named as one of "The 100 Greatest Masterpieces of American Literature" by the American Revolution Bicentennial Administration. His story An Occurrence at Owl Creek Bridge has been described as "one of the most famous and frequently anthologized stories in American literature"; and his book Tales of Soldiers and Civilians (also published as In the Midst of Life) was named by the Grolier Club as one of the 100 most influential American books printed before 1900. A prolific and versatile writer, Bierce was regarded as one of the most influential journalists in the United States, and as a pioneering writer of realist fiction. “You are a liar!” I retorted hotly. That is all the provocation that I remember to have given. When consciousness returned the sun was high in the heavens, yet the light was dim, and had that indefinable ghastly quality that is observed during a partial eclipse. The sun itself appeared singularly small, as if it were at an immensely greater distance than usual. Rising with some difficulty to my feet, I looked about me. I was in an open space among some trees growing on the slope of a mountain range whose summit on the one hand was obscured by a mist of a strange pinkish hue, and on the other rose into peaks glittering with snow. Skirting the base at a distance of two or three miles flowed a wide river, and beyond it a nearly level plain stretched away to the horizon, dotted with villages and farmhouses and apparently in a high state of cultivation. All was unfamiliar in its every aspect. The trees were unlike any that I had ever seen or even imagined, the trunks being mostly square and the foliage consisting of slender filaments resembling hair, in many instances long enough to reach the earth. It was of many colors, and I could not perceive that there was any prevailing one, as green is in the vegetation to which I was accustomed. As far as I could see there were no grass, no weeds, no flowers; the earth was covered with a kind of lichen, uniformly blue. Instead of rocks, great masses of metals protruded here and there, and above me on the mountain were high cliffs of what seemed to be bronze veined with brass. No animals were visible, but a few birds as uncommon in appearance as their surroundings glided through the air or perched upon the rocks. I say glided, for their motion was not true flight, their wings being mere membranes extended parallel to their sides, and having no movement independent of the body. The bird was, so to say, suspended between them and moved forward by quick strokes of a pair of enormously large webbed feet, precisely as a duck propels itself in water. All these things excited in me no surprise, nor even curiosity; they were merely unfamiliar. That which most interested me was what appeared to be a bridge several miles away, up the river, and to this I directed my steps, crossing over from the barren and desolate hills to the populous plain. For a full history of my life and adventures in Mogon–Zwair, and a detailed description of the country, its people, their manners and customs, I must ask the reader to await the publication of a book, now in the press, entitled A Blackened Eye; in this brief account I can give only a few of such particulars as seem instructive by contrast with our own civilization. The inhabitants of Mogon–Zwair call themselves Golampis, a word signifying Sons of the Fair Star. Physically they closely resemble ourselves, being in all respects the equals of the highest Caucasian type. Their hair, however, has a broader scheme of color, hair of every hue known to us, and even of some imperceptible to my eyes but brilliant to theirs, being too common to excite remark. A Golampian assemblage with uncovered heads resembles, indeed, a garden of flowers, vivid and deep in color, no two alike. They wear no clothing of any kind, excepting for adornment and protection from the weather, resembling in this the ancient Greeks and the Japanese of yesterday; nor was I ever able to make them comprehend that clothing could be worn for those reasons for which it is chiefly worn among ourselves. They are destitute of those feelings of delicacy and refinement which distinguish us from the lower animals, and which, in the opinion of our acutest and most pious thinkers, are evidences of our close relation to the Power that made us. Among this people certain ideas which are current among ourselves as mere barren faiths expressed in disregarded platitudes receive a practical application to the affairs of life. For example, they hold, with the best, wisest and most experienced of our own race, and one other hereafter to be described, that wealth does not bring happiness and is a misfortune and an evil. None but the most ignorant and depraved, therefore, take the trouble to acquire or preserve it. A rich Golampi is naturally regarded with contempt and suspicion, is shunned by the good and respectable and subjected to police surveillance. Accustomed to a world where the rich man is profoundly and justly respected for his goodness and wisdom (manifested in part by his own deprecatory protests against the wealth of which, nevertheless, he is apparently unable to rid himself) I was at first greatly pained to observe the contumelious manner of the Golampis toward this class of men, carried in some instances to the length of personal violence; a popular amusement being the pelting them with coins. These the victims would carefully gather from the ground and carry away with them, thus increasing their hoard and making themselves all the more liable to popular indignities. In conformity to these ideas the Golampis — all but the ignorant and vicious rich — look upon labor as the highest good, and the man who is so unfortunate as not to have enough money to purchase employment in some useful industry will rather engage in a useless one than not labor at all. It is not unusual to see hundreds of men carrying water from a river and pouring it into a natural ravine or artificial channel, through which it runs back into the stream. Frequently a man is seen conveying stones — or the masses of metal which there correspond to stones — from one pile to another. When all have been heaped in a single place he will convey them back again, or to a new place, and so proceed until darkness puts an end to the work. This kind of labor, however, does not confer the satisfaction derived from the consciousness of being useful, and is never performed by any person having the means to hire another to employ him in some beneficial industry. The wages usually paid to employers are from three to six balukan a day. This statement may seem incredible, but I solemnly assure the reader that I have known a bad workman or a feeble woman to pay as high as eight; and there have been instances of men whose incomes had outgrown their desires paying even more. Labor being a luxury which only those in easy circumstances can afford, the poor are the more eager for it, not only because it is denied them, but because it is a sign of respectability. Many of them, therefore, indulge in it on credit and soon find themselves deprived of what little property they had to satisfy their hardfisted employers. A poor woman once complained to me that her husband spent every rylat that he could get in the purchase of the most expensive kinds of employment, while she and the children were compelled to content themselves with such cheap and coarse activity as dragging an old wagon round and round in a small field which a kind-hearted neighbor permitted them to use for the purpose. I afterward saw this improvident husband and unnatural father. He had just squandered all the money he had been able to beg or borrow in buying six tickets, which entitled the holder to that many days’ employment in pitching hay into a barn. A week later I met him again. He was broken in health, his limbs trembled, his walk was an uncertain shuffle. Clearly he was suffering from overwork. As I paused by the wayside to speak to him a wagon loaded with hay was passing. He fixed his eyes upon it with a hungry, wolfish glare, clutched a pitchfork and leaned eagerly forward, watching the vanishing wagon with breathless attention and heedless of my salutation. That night he was arrested, streaming with perspiration, in the unlawful act of unloading that hay and putting it into its owner’s barn. He was tried, convicted and sentenced to six months’ detention in the House of Indolence. The whole country is infested by a class of criminal vagrants known as strambaltis, or, as we should say, “tramps.” These persons prowl about among the farms and villages begging for work in the name of charity. Sometimes they travel in groups, as many as a dozen together, and then the farmer dares not refuse them; and before he can notify the constabulary they will have performed a great deal of the most useful labor that they can find to do and escaped without paying a rylat. One trustworthy agriculturist assured me that his losses in one year from these depredations amounted to no less a sum than seven hundred balukan! On nearly all the larger and more isolated farms a strong force of guards is maintained during the greater part of the year to prevent these outrages, but they are frequently overpowered, and sometimes prove unfaithful to their trust by themselves working secretly by night. The Golampi priesthood has always denounced overwork as a deadly sin, and declared useless and apparently harmless work, such as carrying water from the river and letting it flow in again, a distinct violation of the divine law, in which, however, I could never find any reference to the matter; but there has recently risen a sect which holds that all labor being pleasurable, each kind in its degree is immoral and wicked. This sect, which embraces many of the most holy and learned men, is rapidly spreading and becoming a power in the state. It has, of course, no churches, for these cannot be built without labor, and its members commonly dwell in caves and live upon such roots and berries as can be easily gathered, of which the country produces a great abundance though all are exceedingly unpalatable. These Gropoppsu (as the members of this sect call themselves) pass most of their waking hours sitting in the sunshine with folded hands, contemplating their navels; by the practice of which austerity they hope to obtain as reward an eternity of hard labor after death.